For 1965, the SCCA (Sports Car Club of America) created three new single-seater formulae: Formula A, for 3-litre racing engines, Formula B (later better known as Formula Atlantic) for 1.6-litre production-based (‘stock block’) engines and Formula C for 1.1-litre engines. 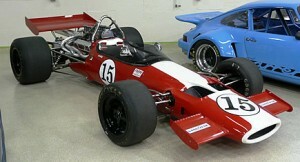 The capacities chosen matched the forthcoming 1966 Formula 1 (3-litres), the planned 1967 Formula 2 (1.6-litres) and the long-established Formula Junior (1.1-litres). 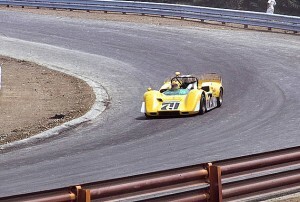 For 1968, the SCCA opened up Formula A to stock block engines of up to five litres, thus allowing in the 302ci Chevrolet engine that had been introduced for the SCCA’s Trans-Am series. Major racing car constructors now built cars for the 5-litre rules, notably Eagle, winners in 1968 and 1969; McLaren, winners with the M10B in 1970 and 1971; Chevron whose B24 model won the British and Tasman series in 1973/74 and Lola, dominant from 1974 to 1976 with the classic T332. The Can Am championship, officially known as the Canadian-American Challenge Cup, existed from 1966 to 1974. 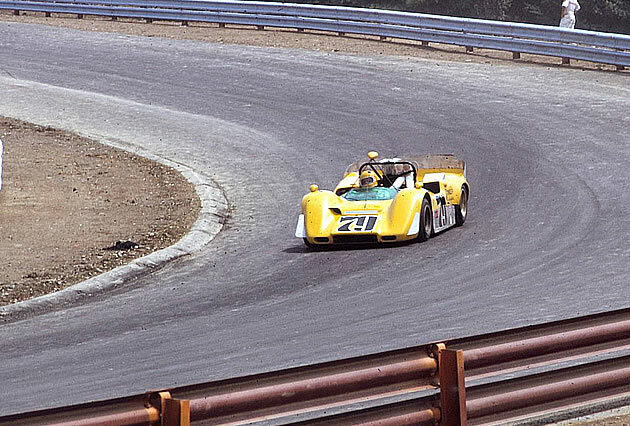 The Can-Am era still stands as the penultimate Golden Era of Road Racing, with Group 7 sports racing cars of virtually unrestricted design, resulting in the quickest cars in the world at the time – quicker than any F1 or sportscars running in the World Championship. This unrestricted environment resulted in many technological firsts in motorsports, such as aerodynamics and wings, turbocharged engines, and the use of “exotic” materials such as titanium. 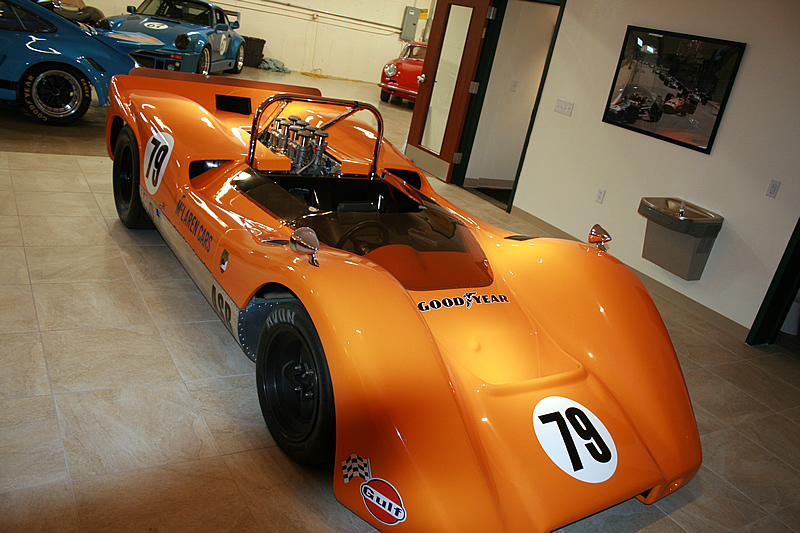 The McLaren M6A, with Bruce McLaren driving, won the Can Am Championship in 1967. This represents the beginning of the dominance of McLaren in the Can Am series for the next 4 years. 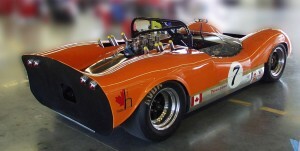 The Hayman SR3 was the third and most successful race car built by Roy Hayman, of Ontario Canada. Each of Roy’s designs were unique and purpose built for the era and series that they campaigned in. His first car was a tube framed, front engine car for the USRRC, built in 1961 that was destroyed at Mosport several years later. Then came the SR2 and the SR3. These were similar in appearance, but different in design. The final version, the SR3 was a mid engine car of true stressed aluminum monocoque construction. This was very unique for 1966, race car construction, when most all designs were still based around a tube frame skeleton. 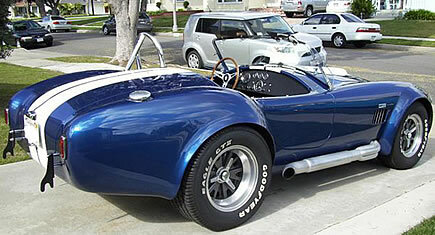 The SR3 ran a 357CI Chevy powerplant, and mated to the same ZF 24DS transaxle used in the Ford GT40 a few years later. The brakes were the common AP caliper and non vented rotors. All original 1965 Cobra 427!